Looking for a healthy snack for your upcoming Super Bowl festivities? 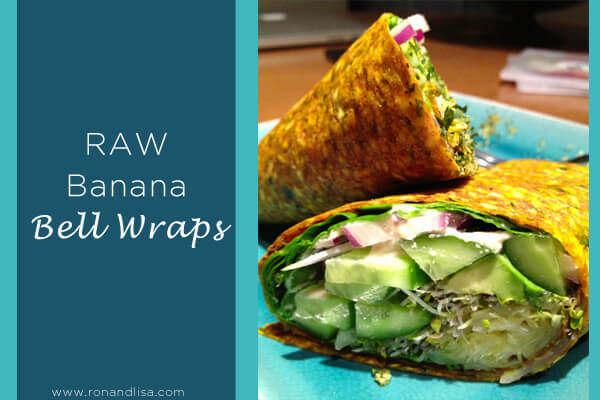 You’re guaranteed to be the healthiest hostess with the mostess with these great raw wraps – the perfect healthy substitute for traditional tortillas. Throw in a bunch of your favorite veggies and hummus and wrap them up for a quick vegan lunch or dinner. You can even cut them into little pinwheels for your next party. Make a double batch and keep them in an airtight container for busy work weeks. Blend everything until smooth. Spread evenly over teflex sheets. Dehydrate at 110 for 8 hours. Flip and remove teflex. Continue to dehydrate for another 6-8 hours or until dry but flexible.